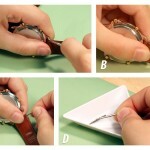 Don’t despair, if the buckle of your favorite leather watch band breaks, you can replace it and continue to wear it. Just use this handy guide to learn how. 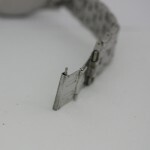 First, you will need to remove the old buckle from the band. Hold the leather band on its side in your hand so you can access the side of the buckle. 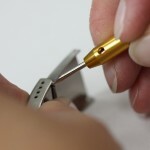 Take your spring bar tool and insert the pointed end into the hole in the side of the buckle. Press down on the spring bar and then push it to the side until it comes out from under the metal buckle. Be aware here: the spring bar could very easily pop out of the band here and get lost if you are not careful. 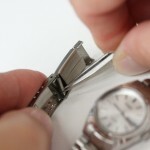 Remove the spring bar from the watch band and set it aside in your parts tray. Let the u-shaped buckle and the tongue fall to the table. Next you must measure your watch band to ensure that you have the right size replacement buckle. 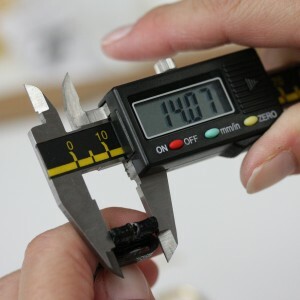 Hold the leather band flat so that you can close the jaws of your digital gauge around it. Use the measurement from the gauge to order the right size buckle to fit your watch band. 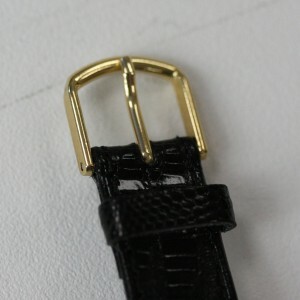 Replacement buckles can be found here. Be sure to select metal color that will match your watch best when choosing your new buckle. 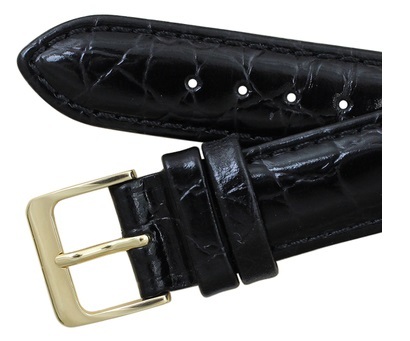 Once you have the right size replacement buckle, you are ready to attach it to your leather strap. 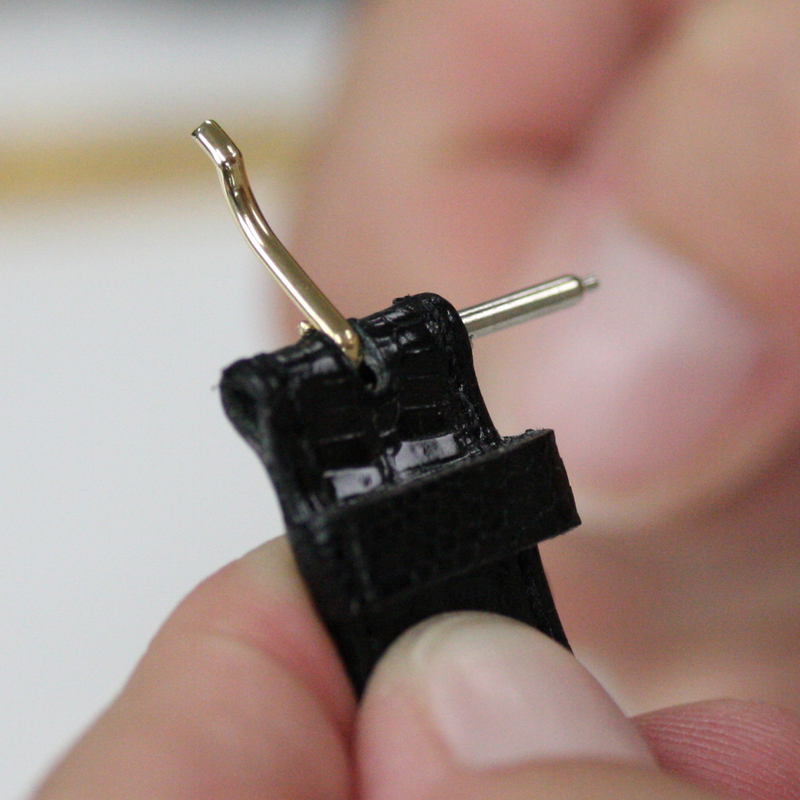 Start by grabbing the old spring bar out of your parts tray and inserting it part way into the leather band. Stop before the spring bar reaches the cutout for the tongue of the buckle. Insert the tongue of the new buckle into the gap in the leather band. 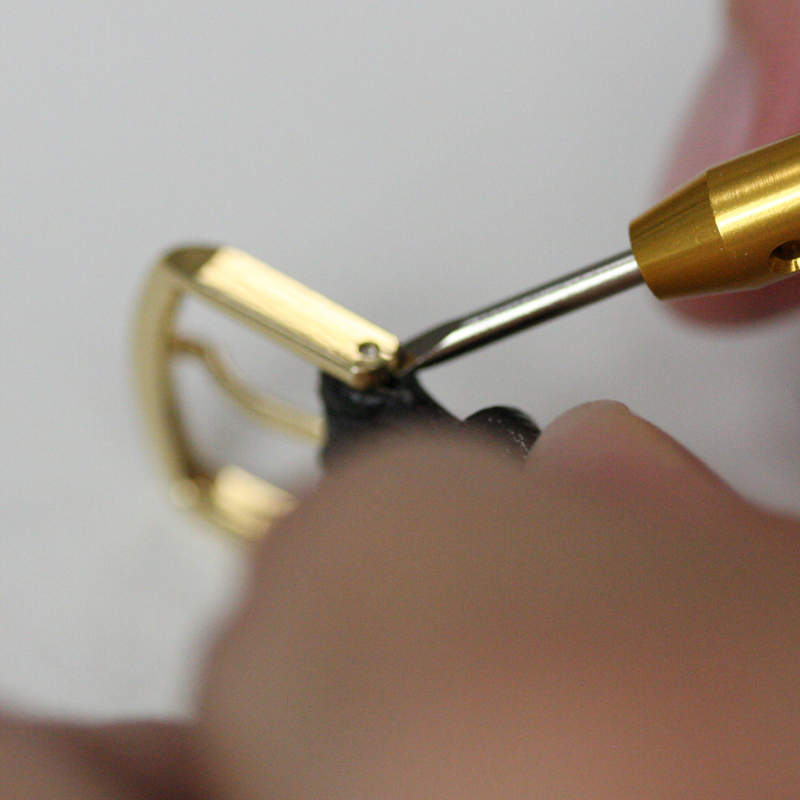 The loop at the end of the tongue should face down in relation to the watch band like this. Hold the tongue in place and slide the spring bar through the end of the band. You should be able to see both tips of the spring bar on either side of the band and the tongue should be held in place. Now, take the u-shaped part of the buckle and line it up with the ends of the band. Insert one end of your spring bar into the hole in the clasp, then put the watch on its side so that the loose side is facing up. With the clasp held close to the end of the band, take your spring bar tool and use the forked end to push the spring bar down. While you hold the spring bar down, slide the metal clasp over it. This should lock in the clasp on each end of the spring bar. 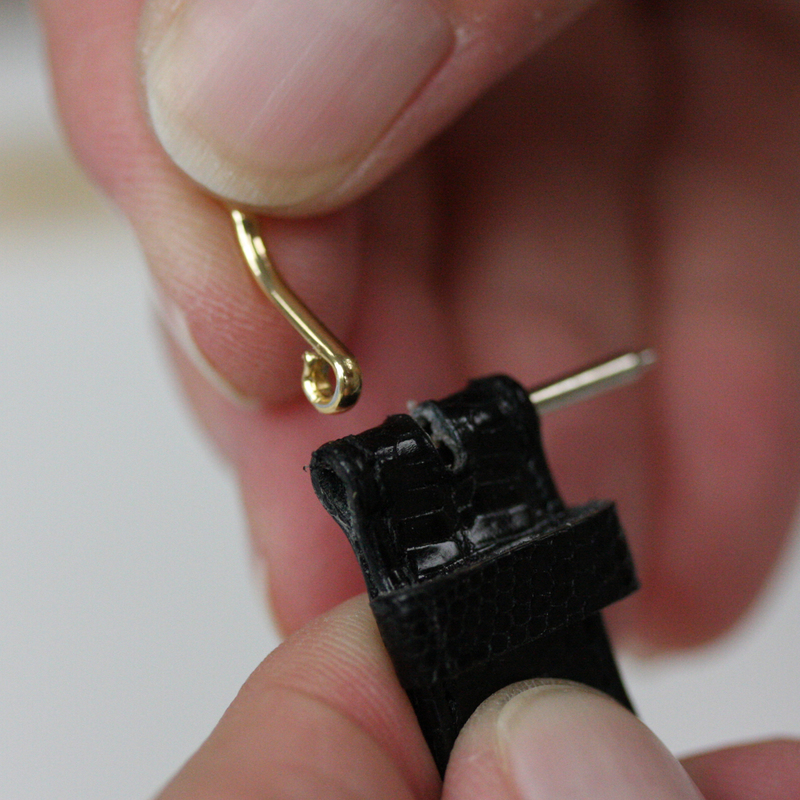 When the clasp covers the spring bar, carefully remove your spring bar tool and move the clasp around slightly until you hear the spring bar snap into place if it hasn’t already. 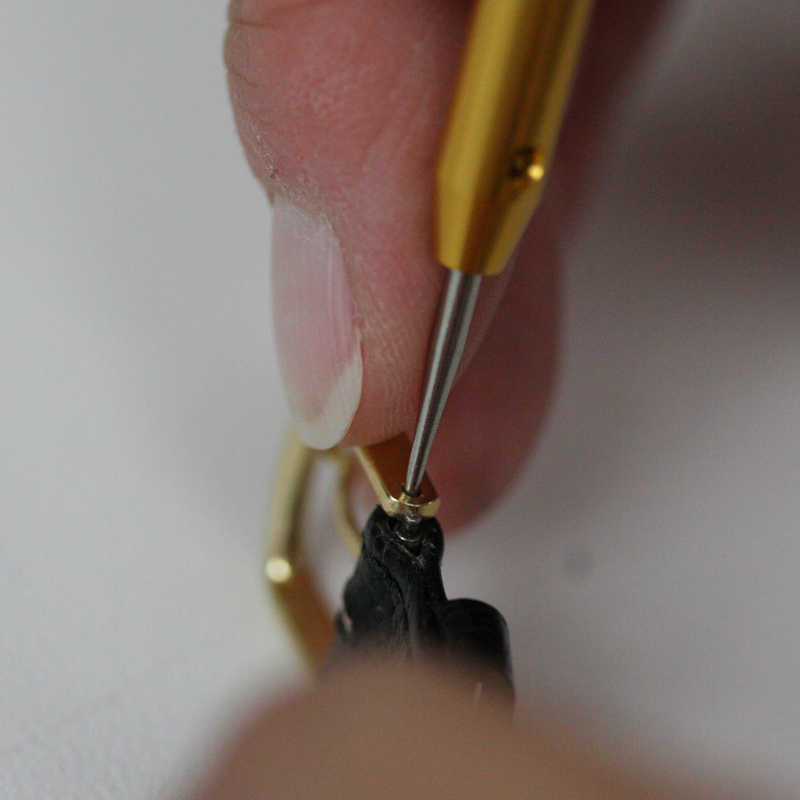 Give the clasp a few gentle tugs, if it remains in place then you’re done. 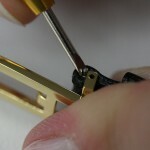 If the clasp slips off the band, try placing the spring bar and buckle again by repeating the last few steps. 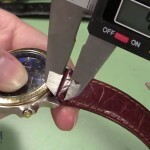 Visit Esslinger.com’s Learning Center for more watch repair guides.